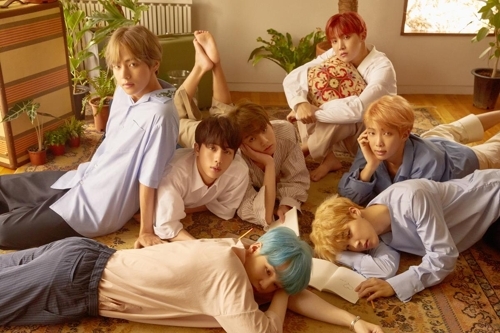 SEOUL, Oct. 25 (Yonhap) — K-pop group BTS’ album “Love Yourself: Her” has landed on Billboard magazine’s main album chart for the fifth straight week, according to the U.S. music publication Wednesday. “Love Yourself: Her” clocked in at 86th on the Billboard 200 chart for the week of Nov. 4, according to the company’s website. The record first appeared on the chart at seventh place late last month.